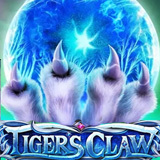 Next week's Game of the Week at Intertops Poker and Juicy Stakes Casino is Betsoft's brand new Tiger's Claw slot game. From April 9 – 15, 2018, all players that have made a recent deposit get 10 free spins on the mystical new game. In Tiger's Claw, a Spiritual Shaman guides you through a mystical fantasy world in a quest for gems and artefacts. Three Shamans scattered anywhere on the reels pay double the bet. Four pay 10X the bet and five pay 50X the bet. When a white Tiger's Claw grasping a glowing orb appears on all five reels, eight free spins are awarded. Free spins can be re-triggered for a total of up to 96 free games. After each winning spin, you can collect your prize or play the Double Up bonus game to try and double it by flipping a gold coin. "Like all the new Betsoft games, the images and effects in Tiger's Claw are stunning," said the casino manager. "With its free spins, Double Up bonus game and tall middle reel that gives 720 chances to win, I predict we're going to see some epic pay-outs!" The busy online poker rooms at Intertops Poker and Juicy Stakes Casino are popular all over the world. Online satellite tournaments continuing until April 15th will send the winner to the WSOP this summer. In their Casino section, there are hundreds of slots and table games from Betsoft, Lucktap and Worldmatch. All players that have made a minimum $25 deposit between March 8 and April 8, 2018 will automatically get 10 free spins when they play the new game. Wagering requirement: 30X on Betsoft games (excluding wheel games, Roulette, and Craps). Max. win: $250. Available April 9 – 15, 2018 only.